Shelby is our very 1st winner of 100 Viwawa Cash for our Viwawa Followers Contest. Out of 187 Blog and 79 Twitter Followers, Shelby was randomly selected by our virtual pet rabbit. Let's give our virtual pet cat a chance next week! 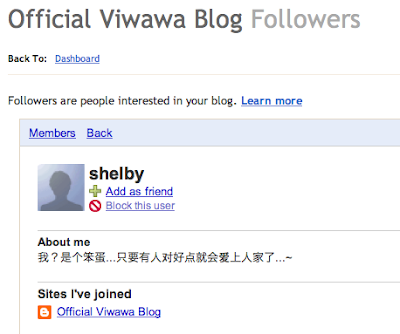 Shelby, please enter your Viwawa username in your Blog follower profile, and we will add the 100 Viwawa cash to that account.